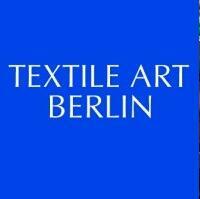 The TEXTILE ART BERLIN is a magnet for creative visitors. On a surface of 4000 square meters is offers an inspiring festival of the textile arts. Discover the incredible diversity of textile art in exhibitions, workshops, numerous possibilities for active participation, films and lectures. More than 100 stalls offer exclusive material for handmade enthusiasts, international textile books, stylish and funny fashion, elegant accessories and jewellery, colourful interior decoration, quilts, designer objects with a modern mix of materials and antique textile treasures. Mini workshops lasting 15 to 30 minutes, taking place at the stall of the artist. You can decide to participate on the spot and try out materials or techniques for a small fee. Generally no registration is required, but if many people would like to participate you might have to wait for the beginning of the next mini workshop. In the “Market place for textile treasures”, participants sell exceptional materials and tools as well as old or out of print textile books, patterns, textile objects and more. Only specialized traders can participate in the “Market place for textile treasures”. Please contact the organizer for a binding agreement and register in writing.